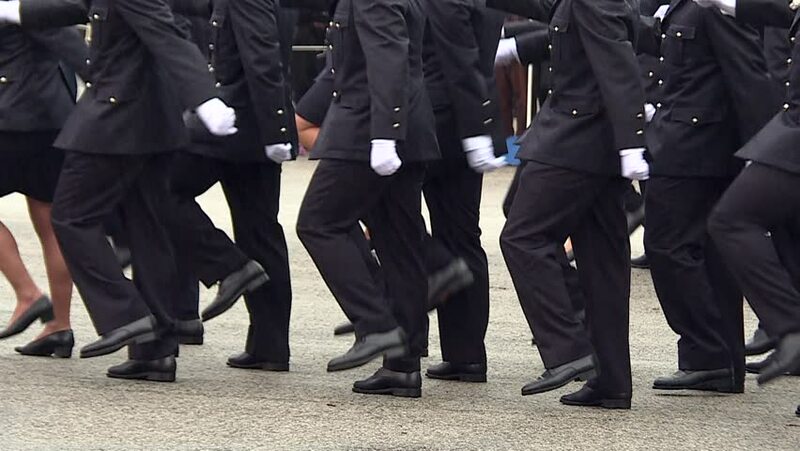 hd00:16Low ranks terestrial army officers, marching in pace at a parade. hd00:07Blurred Air Force Cadets marching in a school Thailand. 4k00:06Riot police walking on road. Squad of policemen in armor. Ready to protect and serve. Strength of authority.